Irrespective of what the nature of business an organization deals in, it has to keep track of its income and expenditure. This is done by using accounting forms. These forms comprise of various segments which allow the user to segregate the details in a systematic manner. People, who are not sure of how to design such forms, can take some help from Accounting Forms, which have been designed for precisely this purpose. 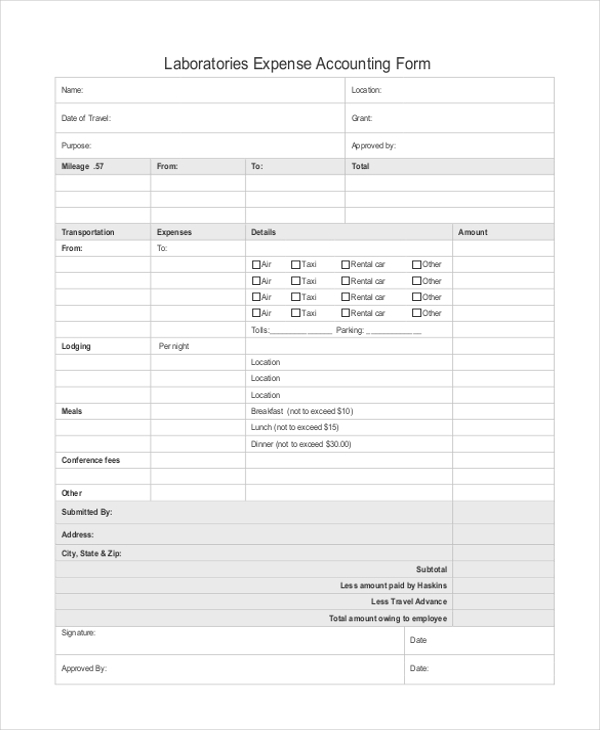 A business organization that needs to keep track of its day to day accounts can use this basic accounting form for the purpose. This form comprises of all the basic elements that need to be taken into account. The user can, however, make changes to this as per his requirement. 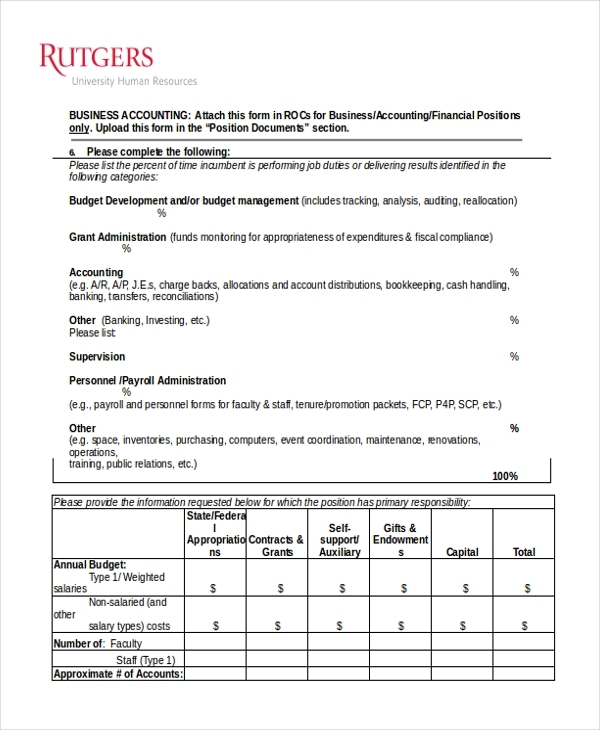 This basic accounting form is free of cost and can be used by any person or organization. The form comprises of all the essential segments that should be included in such a form. It also follows an acceptable format, thus making it an ideal choice for all. You may also see Sample Accounting Forms. 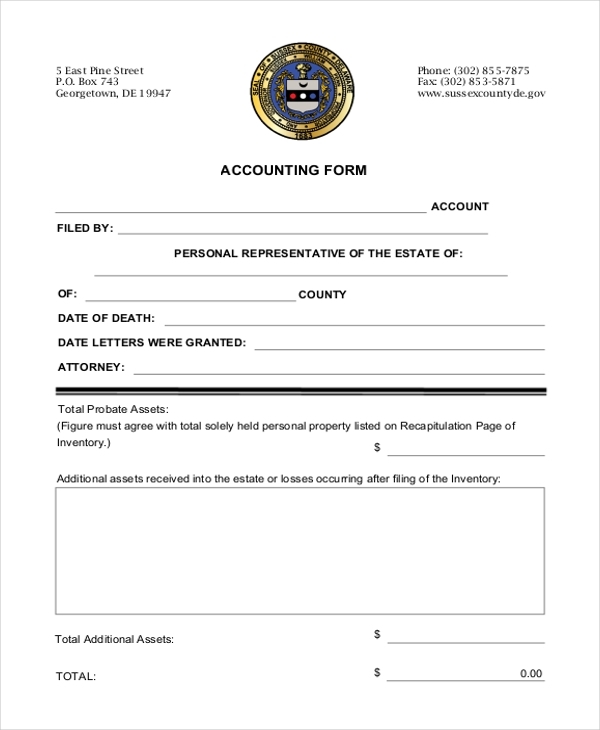 As the name indicates, this basic accounting form can be used by small businesses to keep track of their income and expenses. Designed by experts, this form comprises of all the crucial segments that make it easy for the business owner to get an idea of his accounts. This form can be used by laboratories to keep an eye on their expenses over a particular period of time. With all the important segments in place, the user just needs to add in the relevant details under the concerned subheads to get an organized expense account statement. 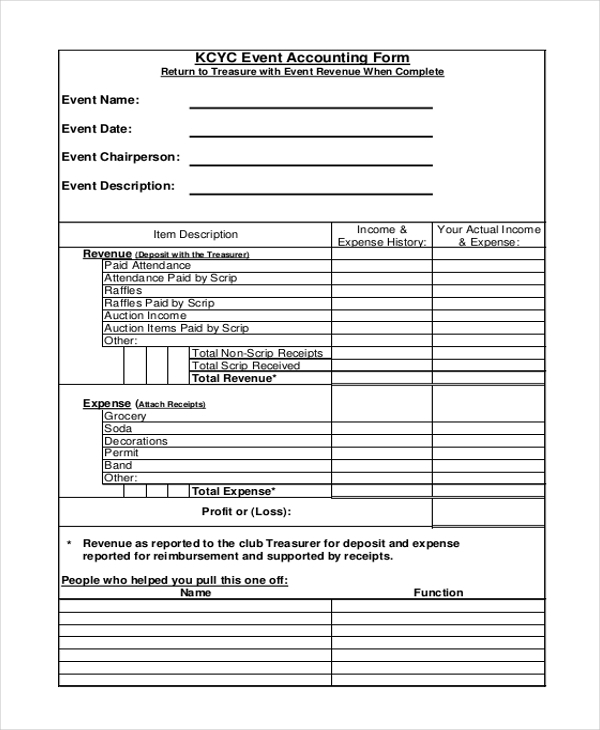 This form can be used by an event organizing company to keep an eye on the income and expenses incurred by it while organizing an event. The form comprises of all the crucial subheads, thus making it easier for the user to add in the relevant information. You can also see Sample Ledger Account Forms. 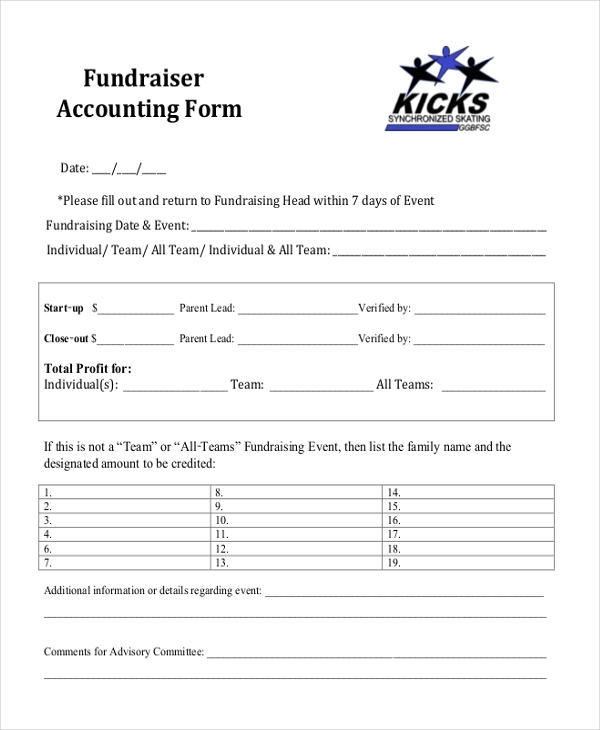 A person involved in organizing a fundraiser can make use of the aforesaid form to keep track of the expenses incurred by him and the amount of funds collected during the event. With all the segments in place, the user just needs to add in the details under relevant subheads. 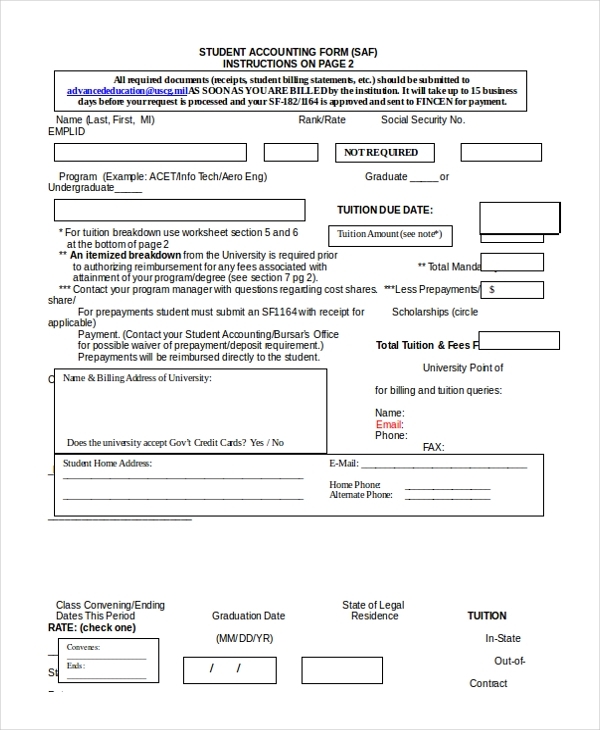 This form can be used by a student to keep track of his expenses over a particular period of time. 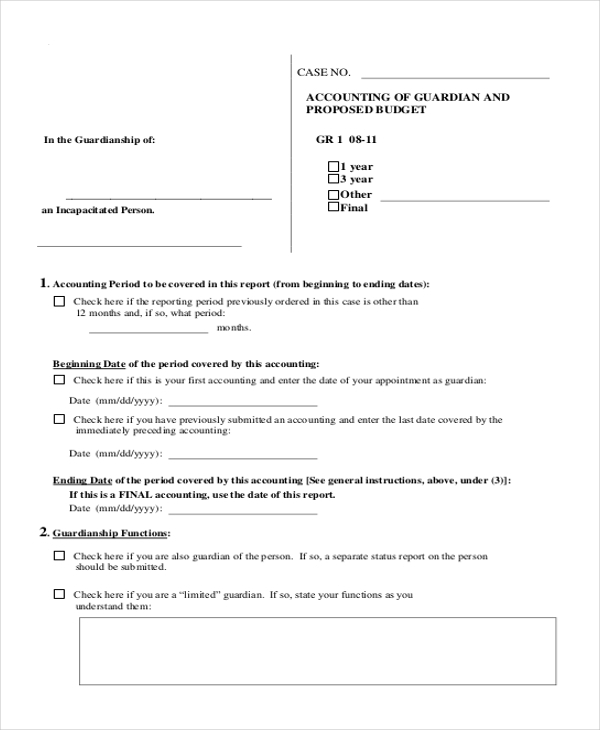 This form has a set format and important segments which allow the student to arrange the information in an easy to decipher, organized manner. The guardian of a disabled person or a child who is allotted special funds from the government needs to keep an eye on how the money is spent. The aforesaid form can come in handy for this purpose as it comprises of all the crucial segments that help to arrange the details in an organized manner. You may also see Sample Expense Report Forms. 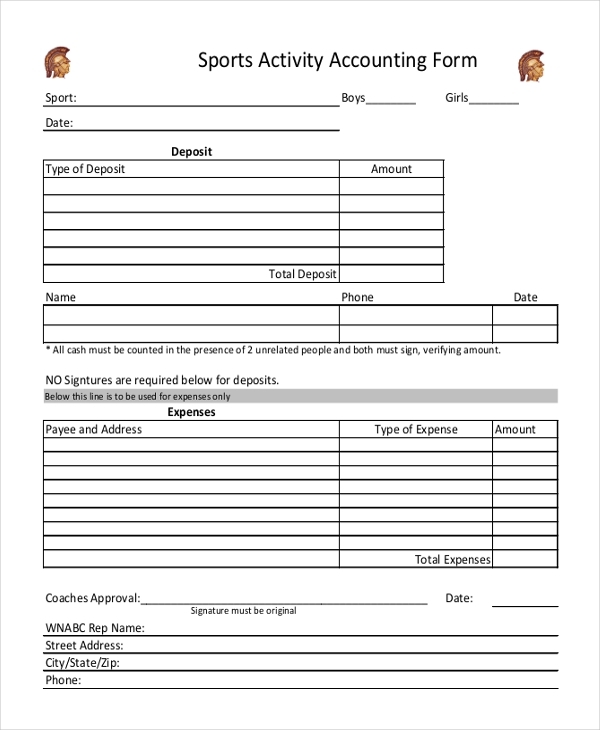 A person or club involved in organizing a sports activity can make use of this form to understand the details of the income and expenses incurred during the activity. When any information is disclosed against the HIPAA regulations, the aforesaid form can be used by a person to raise a complaint to bring the matter to the notice of the authority concerned. The user is required to share the details of the person who disclosed the details etc in this form. What are The Benefits of Using Basic Accounting Forms? Need some help in designing a basic accounting form? 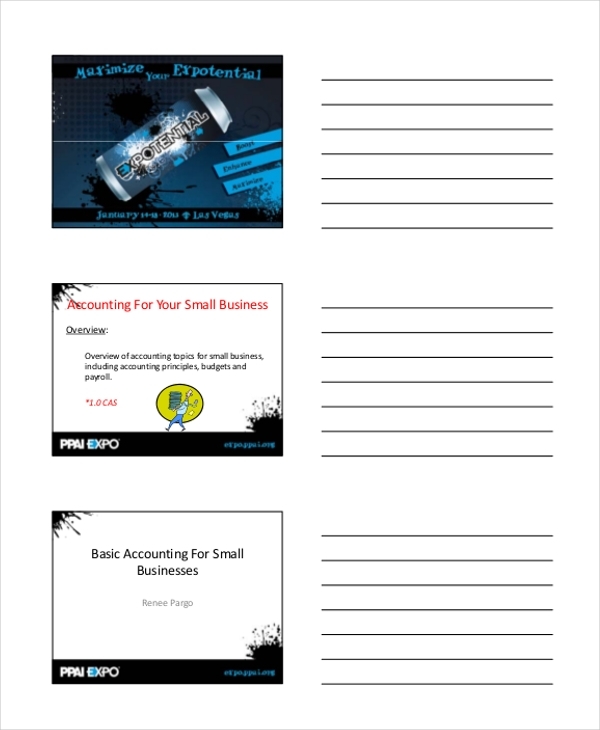 Why not take some cue from the financial accounting forms that we have on offer? Choose the one that is perfect for you and download it. 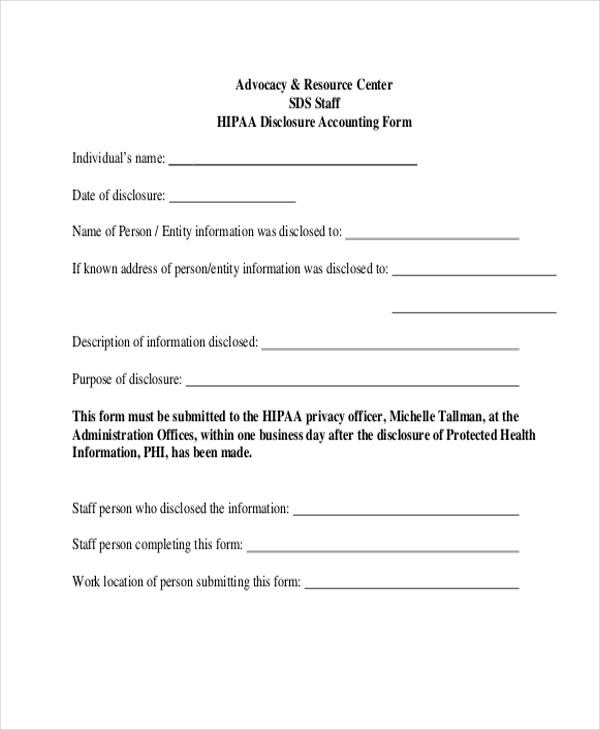 These forms are easy to customize and can help you come up with an original agreement in a jiffy. You may also see Income Statement Forms.